KELA’s technological solutions automatically scan a curated set of Darknet sources, providing fully targeted, actionable intelligence. KELA provides intelligence on threats targeting clients using an automated system that monitors a meticulous set of Darknet sources. Our intelligence experts qualify and analyze the threats, ensuring the intelligence is 100% actionable. KELA provides intelligence about threats that specifically target the organization. Our clients will not be occupied by redundant, low-impact threat intelligence, allowing them to focus time and efforts on actual threats targeting their organizations. Our dedicated research team is regularly identifying and qualifying new sources of information to monitor. KELA’s clients receive uniquely valuable intelligence, with virtually zero false or bogus threats. While the process of intelligence gathering is entirely automated, our experts examine and research every incident. When an incident occurs, you want the smartest, most diligent experts to be a part of your team. KELA offers unique solutions and services. Read more below and contact us today to get started. RADARK automatically tracks Darknet threats, and immediately alerts users about compromised corporate assets. RADARK automatically tracks Darknet threats, and immediately alerts users about compromised corporate assets – employee or customer details, email addresses, passwords, and much more. Built-in keywords in more than 20 languages and new sources hand-picked by our analysts daily, guarantee that RADARK delivers the most relevant, accurate, and highest quality intelligence. DARKBEAST allows our clients to access all types of information available in KELA’s Darknet sources. DARKBEAST allows our clients to access all types of information available in KELA’s Darknet sources. This search engine enables users to deep dive into a specific topic and obtain the necessary information. DARKBEAST acts as a platform for extended research on intelligence extracted in real time from KELA’s Darknet sources. KELA’s Intelligence SOC functions as a direct extension of the client’s ongoing business operations. KELA’s Intelligence SOC functions as a direct extension of the client’s ongoing business operations. KELA’s team of skilled professionals constantly monitors new Darknet threats, providing clients with the most accurate, relevant and actionable intelligence. Analysts perform in-depth research of all incidents and respond to the client’s inquiries as part of the IR flow. KELA’s process of gathering and analyzing data emulates the thought-process of a hacker prior to an attack. Operating in more than 20 languages, all common in Darknet communities. Our analysts scan and handpick additional information sources, ensuring all potential threats are monitored. Highly targeted intelligence-gathering prevents any generic, redundant or low-impact threats. 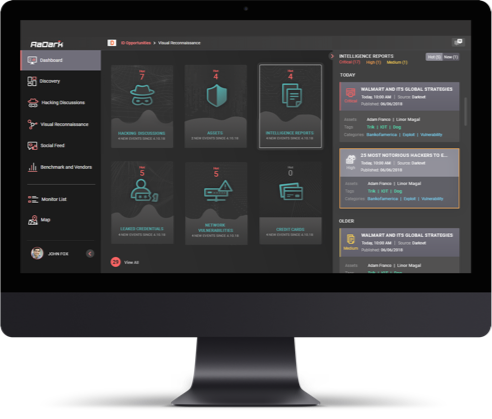 Immediate notifications and 100% actionable alerts of Darknet threats. Integrating automation and manual oversight by analysts guarantees the most relevant intelligence analysis and remediation process. Keep up with the latest news and updates on KELA’s cyber threat intelligence in the press. Contact us today for an initial, confidential consultation with one of our expert team members.